With the growth of customer demands and business scale, Hi-P enhances capability by introducing Sumitomo 2 shots ultra-high speed electrical molding machine in 2015 at Shanghai site. 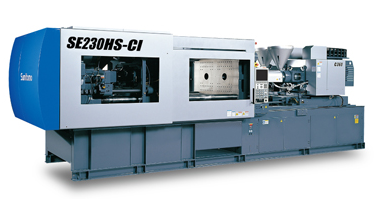 Remarkably it provides a solution to an extreme thin molding product with maxima 800mm / second injection speed. What coming with more beneficial is to facilitate great precision and accuracy in products and to help with energy-saving, achieving higher efficiency. Furthermore, Hi-P also increase Metal CNC capacity from 1500 to 3000 units, invested in Fanuc and Brother machine in the ratio mix of 4:1 for 3 and 4 axis to offer and provide high quality, high precision, high accuracy solution to our customers.